So as of next month, I would have been blogging for a whole year! I can't believe how quickly this year has gone. So today I thought I would share with you 'What I Have Learnt About Blogging' for you to read, enjoy and maybe even learn from! 1) There is so much support and lovely comments from everyone. The one thing I have learnt is that blogging is a community, even though you are all individually sat behind a screen generating content for your viewers, you all share the same interests and have things in common. It's really lovely to be able to share my work with other like-minded people, and also to be able to learn stuff from each other. 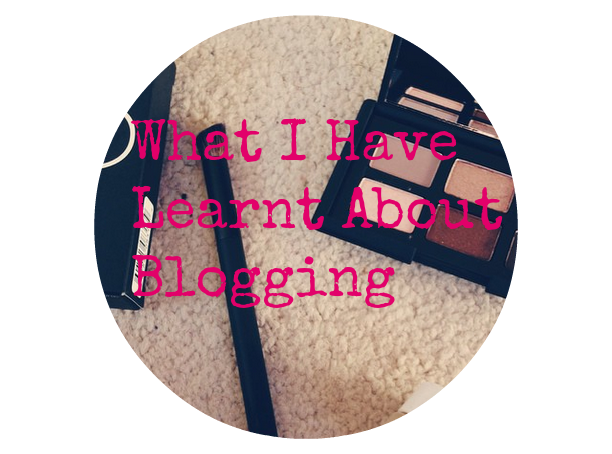 What I have learnt through having my own blog has come from looking at other blogs and speaking to other bloggers. It's lovely that we can all talk and be a nice, little community. The amount of lovely comments I have had is incredible and I thank you SO much for all of you supporting me out there. 2) Don't compare your blog to someone else's. 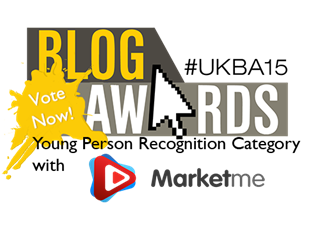 I know it might be really tempting to sit in front of your computer and think 'why is my blog not as good as theirs' (I know we have all done it!) but blogging is not trying to be like someone else, it is about creating your own little space on the internet that YOU love. Put you before them, your readers are a massive part to play in blogging but you should want your blog to look the way you want it to look, don't try and be someone else. Everyone is different and that's a good thing! 3) You don't have to blog every single day. When you have a blog there is so much pressure for you to think you have to blog every single day of your life, but you don't have to do this. It's better for you to be in the right frame of mind when blogging. Generating half hearted content or blogging when you are not in the mood just so you can fill a space every day will show. Blog when you want to blog, that way you will create the best content you do. 4) Time away from your computer is absolutely necessary. I always make sure that I give myself some 'me' time, that way I can reflect and take in everything that is happening. You need to make sure that you have some quality time off the Internet and away from the computer. This way you can concentrate on people around you, have some relaxing time and maybe even generate some inspiration. Always make sure you do take some time out for yourself and others so you can experience the world around you instead of being glued to a screen. You never know what things you might learn. 5) Don't start of with the 'I want to be famous attitude' aim high but stay grounded. 6) Hard work and perseverance is key. 7) Pictures are just as important as words are. You know the famous saying 'a picture says 1000 words?’ well with a blog that is very true. People love being visually stimulated with lovely, colorful and bright photos! I always try and take my own photos for the majority of my blog posts; pictures make a blog post look more inviting to your reader. 8) You don't have to tell everyone the ins and outs of your life on your blog. You decide what you want to write about and if people don't like that then that is their problem. Don't be pressured into writing about things just because people are SO nosy. 9) When you don't know what to write about, don't write. I go by the rule 'everything happens for a reason' and when I don't know what to write, then my life must be telling me something. If this happens to you, take a break! Watch a film, read a book, go out with friends, whatever you love doing and then you will have loads of ideas coming your way in no time! If you are not enjoying it, then don’t do it! and that is okay, but make sure that you love it and it isn't just the bane of your life and becomes a massive chore. 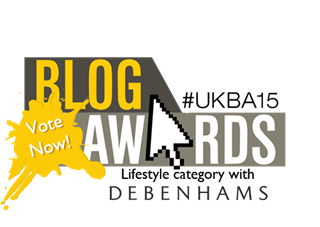 Vote for me for the UK Blog awards 2015!